Wealth Management and Financial Planning is one, big game of "contingency planning." What I mean by that is my role as your advisor is to continually ask the question "what if?" in all facets of your life, considering both positive and negative outcomes. In my experience some advisors avoid discussing the potential negative outcomes because it may also produce some negative emotional responses from their clients. Not having these “tough” conversations may leave the client/advisor relationship at a superficial level. A focus on “what if everything happens according to plan” leaves important contingency planning issues to chance. 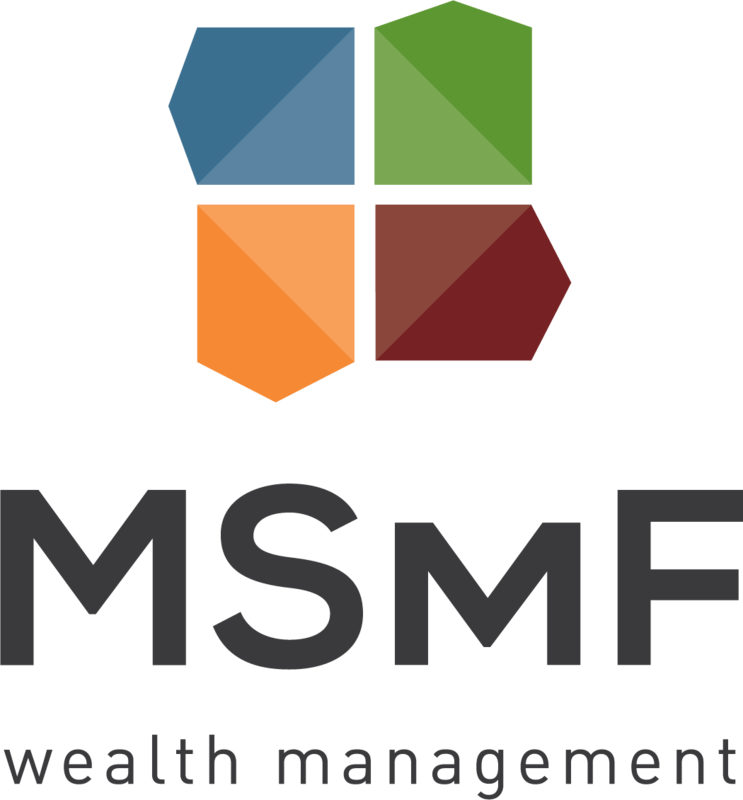 If you look at all of the clients of MSMF, they all don’t retire precisely at age 65. None of our clients ever expected serious healthcare events to occur. Few ever earn the absolute, exact historical average return of the market. And none of them die on cue at age 95! The key to effective questioning around possible outcomes lies in a lesson we learned from psychologists. You will never hear me ask a question like "what would you want to happen if you died tomorrow?" That question puts all of us in a poor emotional state and imagining all of the unhappy outcomes and life changing impact to our family and friends. Rather, you might hear me ask something like "what would we do if you stepped off the wrong curb, got hit by the popcorn wagon and had died yesterday?" Notice the difference? Yes, slightly more light hearted, but more critically, you didn't die yesterday. As a result, you can think clearly, less emotionally, and strategically about how you would want your family cared for in the event that you were gone. Real contingency planning focuses on what if everything goes right, what if everything goes wrong, or what if we end up somewhere in between. Often, addressing these questions is more about our emotional resolve, faith and determination to persevere than they are an intricate financial solution. For example, I have been trying to convince my Father and his wife that their condo is too much for them, and they need to move into a Senior Living community. Finally, they agreed and informed me they were moving to a senior community.....in Blue Springs, MO. Say what???!!! Yes, my 89-year-old Father and his 85-year-old wife, after living no more than 10 minutes from me my entire life (except when I was up the road at 'Ol Mizzou) are now moving 3 hours away from me. WOW….didn't see that one coming!!! Forgot to ask myself the question, "what if they want to move closer to my Dad’s wife’s family in KC when they move into a senior community?" Bad on me. This decision certainly has financial implications we need to plan around, but the emotional challenges for everyone involved have been much more challenging, and would have been far easier if we would have asked ourselves "what if...?" At least I will get my fill of KC BBQ in the coming years!!! Now, I don't expect everyone to walk around every day, all day long saying to themselves "what if...good, bad, or in between?" My role as your advisor is to manage both the risks you face and your financial behavior in the face of successes and challenges. In all aspects of your lives that have financial implications, rest assured we will continue to ask you the appropriate "what if..." question so we can have a strategy in place that we have discussed if that particular contingency was to occur. Why? Because in the worst times of our lives, we are not emotionally prepared to make sound, logical financial decisions. Actually, in the best times are lives we are often no better prepared to make sound financial decisions either. Don't believe me? Do a Google search for the number of lottery winners that are bankrupt less than 5 years after winning the "big one." You will be sick to your stomach. Ok, I'll give you the answer...according to both USA Today and Fortune Magazine...70% lottery winners are broke in a few years after winning! In short, sound, logical financial decisions are best made prior to being faced with such a decision. And in the case of couples, these decisions are best made when you can make them together. So don't be afraid to ask yourself "what if....". Just put it in the proper context that puts you on the path to a clear and logical answer. As always, thanks for "listening." And many thanks for the trust and confidence you continue to show in me and the MSMF Team. If you or any of your friends, family, or colleagues, would benefit from this perspective on “What if…”, feel free to pass this on to them.